Well, haven't I been neglecting fashionrambler.com? I do apologise, I have very good money-making reasons to be avoiding my beloved hobby. Although, one not-so-profit-making enterprise that has recently taken over my life is the bloody Olympics! For someone always picked last for the team *que violin* this is quite the surprise. I think it all began with the Opening Ceremony. What an achievement, what an advertisement (especially for the Socialists among us) and what a way to kick things off! 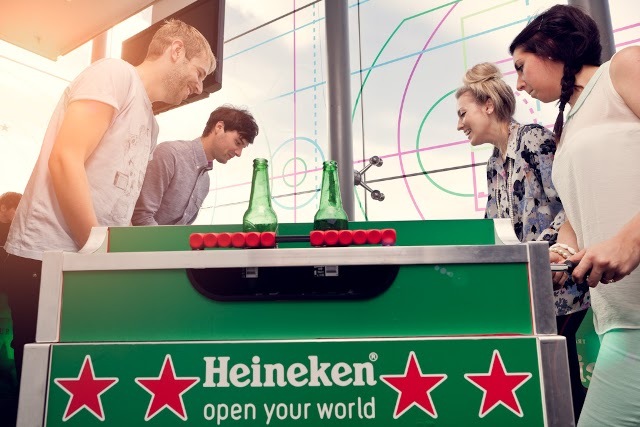 Another way to kick things is with a load of free beer, promotions models, table football and burger and chips - just how Harvey Nichols celebrated the Olympics in Manchester with Heineken! The Menswear floor played host to a beer garden set up complete with bar, DJ, picnic tables and astroturf! 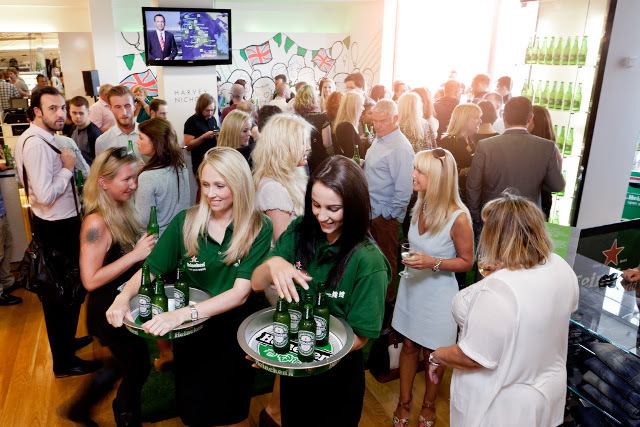 The Olympics will be steamed on plasma screens throughout the games and will remain in place until September 3rd!